With a chic tapered cut, these black tailored trousers feature Marina Rinaldi’s trademark exquisite tailoring and make a perfect addition to your wardrobe. 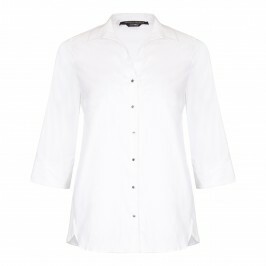 Team with a print shirt for the office or an embellished tunic and heels for the evening. 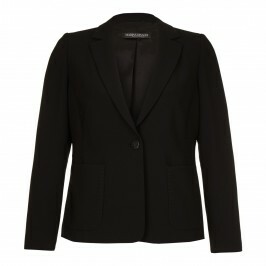 Slim leg tailored trousers in black with front zip and elasticated waist in the back. 64% Triacetate, 36% Polyester. Dry clean only.